Your home is your castle. It’s where you can relax and feel safe and it’s where you keep many of your precious belongings. To have that sanctuary suddenly taken away in a bad fire can be very psychologically and emotionally trying. It’s especially traumatic if a family member or pet was lost. An overwhelming insurance claim is often the last thing an insured wants to deal with after their home has been damaged or destroyed and family displaced. If you’ve suffered a fire loss then you don’t have to bear the burden of getting back on your feet by yourself. A good public adjuster is not only an insurance expert ready to fight for you to get a fair settlement, he or she will be there with knowledge and experience to hold your hand throughout the whole recovery process. Boarding up and protecting the house and contents from further damage, assisting in obtaining temporary living quarters, and getting immediate advance funds are all routine tasks of a good public adjuster at the onset of your claim. In the end it’s not just about pen and paper, but about people helping people in their time of need. 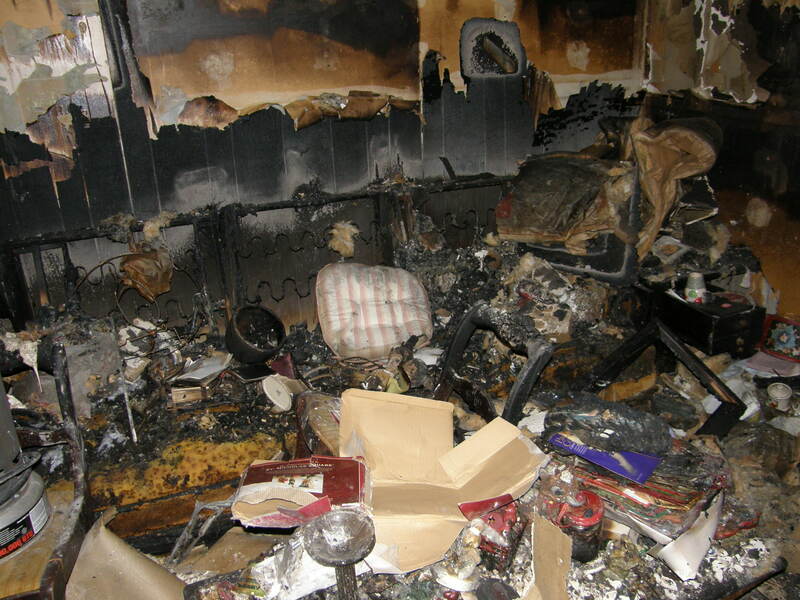 The contents inventory involved after a fire loss can be daunting. Consider not only the emotional toll it takes to have to sift through the charred remains of the things in your home that used to bring you joy – often irreplaceable objects that are each a memory and for which you harbor a unique emotional attachment, but there is also the physical demand of a thorough inventory. Clothes, books, toys, etc. are often fused or melted together, and after winter fires, frozen into solid blackened clumps. Insulation and building debris litter the floors. The smell of smoke is overpowering and often hazardous. And with no electricity, your house could be much colder in the winter or hotter in the summer than it is outside. A good inventory company has the resources necessary to compile a decent contents list, but many will not take the time to get every item and every detail necessary to adequately represent your loss to the insurance company. Remember that inventory companies don’t usually send the experienced hand of a public adjuster to the loss. At D’Amore Adjusters we work closely with the finest inventory experts including our own with the equipment and the crew to do the best job. Remember that no one knows your stuff better than you do and we go through all the lost belongings together with our clients and at the pace each client is comfortable with, making sure to get the details we need to maximize your contents claim. Smoke damage can turn even a small fire into a big problem. Insurance companies would have you believe that you can simply wash walls and vacuum baseboard heat, but the effects of smoke are usually far more difficult to eliminate. Smoke is insidious. It travels through electrical and plumbing openings to enter wall cavities. It can penetrate between sub-floors and floors. It soils insulation and gets in-between the fins of baseboard heat. It settles on the electrical components of appliances and electronics, corroding the wiring and circuit boards. Even when smoke looks light, you might move a pair of socks in a closed drawer and see the outline. If not quickly and properly treated it can greatly shorten the life of your electronics or permanently imbed itself behind the walls and on the contents of your home. 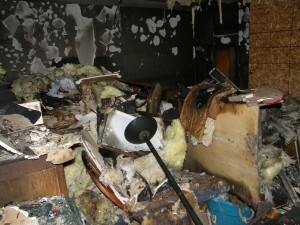 People who have not had proper smoke remediation techniques applied have told us that the smell of smoke resurfaces on particularly hot days even years after their fire. Behind that foul stench are the health concerns associated with living in a smoke damaged home. There are dangerous compounds in all smoke, but especially hazardous ones are associated with burning plastic, rubber, household chemicals and many petroleum products. Smoke residue is difficult to clean. Clothing and other items often do not respond completely to cleaning. You want to make sure you get the right method and company for your repair and the money needed to do a complete job. 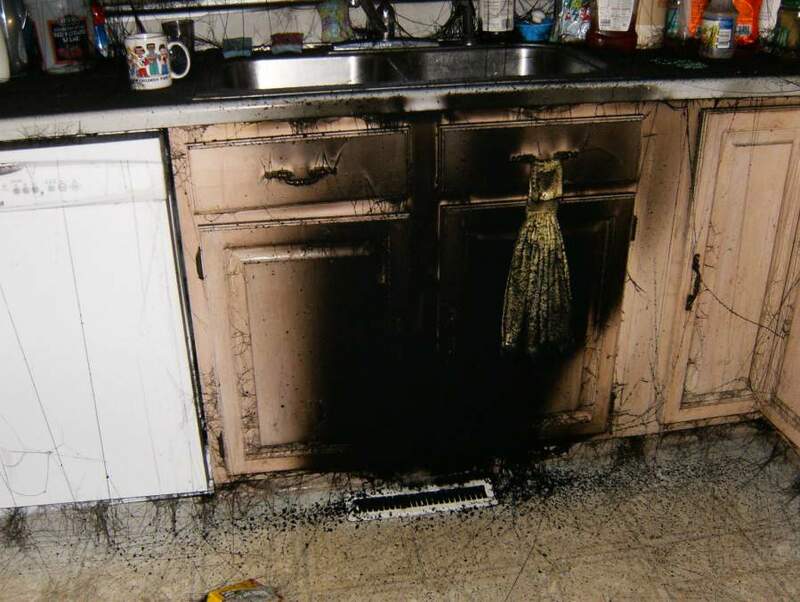 Proper restoration of appliances and electronics that have been contaminated by smoke is very involved and specific, and most electronic items that are smoke damaged and not treated immediately will probably fail prematurely, even if they work after a loss. 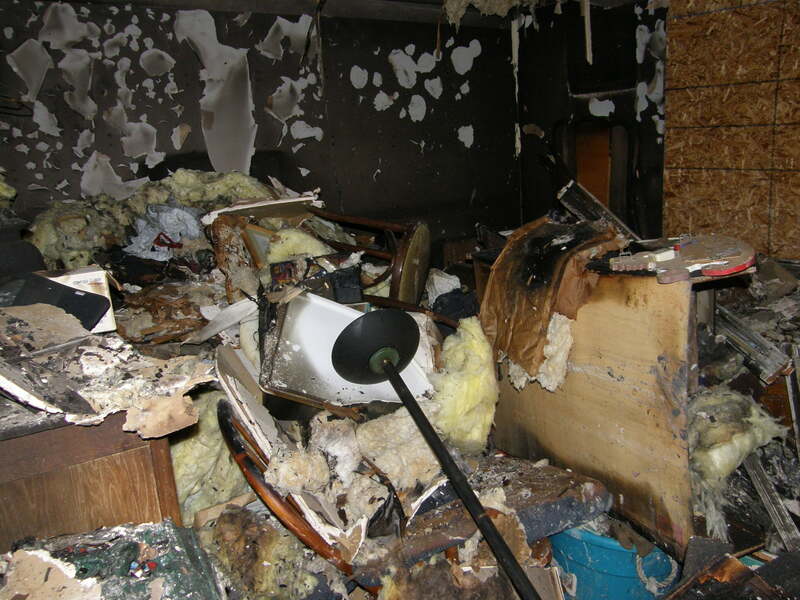 Don’t get shorted by your insurance company; make sure your home is properly remediated of all smoke resulting from a loss and items that cannot be completely cleaned are claimed for replacement.